So you’ve just invested in your smile by getting a teeth whitening! We love teeth whitening treatments because our patients always leave with smiles that are bigger and brighter than ever. 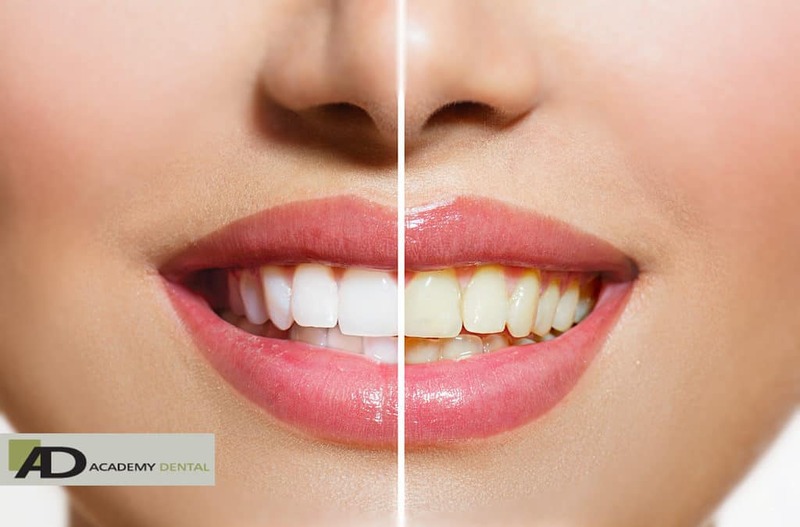 A tooth whitening at your Victoria dental practice, Academy Dental , is a great way to boost your confidence and enhance the natural beauty of your smile. The last thing you want after your teeth whitening is to accidentally cause discoloration to your teeth again! It’s important to know how to prevent tooth discoloration after teeth whitening, so your teeth stay looking pearly white for a long time. Coffee, tea, wine, sports drinks, hard candy, berries, and tomato sauce are all foods that can cause tooth coloration. All foods should be enjoyed in moderation, but pay close attention to these particular foods and beverages to maintain your new white smile. If you can’t stay away from your coffee and tea, make sure to use a straw when you’re drinking beverages. Using a straw will keep stain-causing dyes away from your teeth. It’s well known that smoking tobacco can cause teeth to become yellow-stained and discoloured. Serious stains from tobacco can be difficult to reverse. Eliminating tobacco from your lifestyle can help keep your teeth healthy and bright!